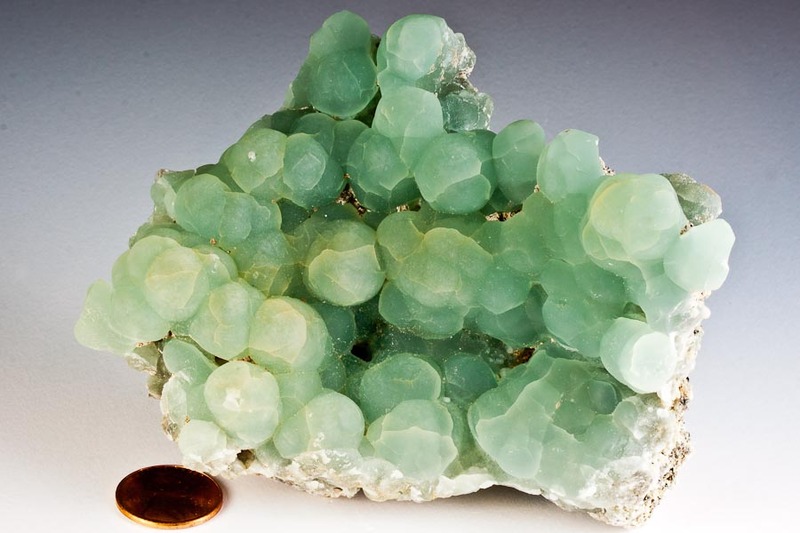 Comment: An excellent large curved plate with spheres of moderately lustrous and translucent, mint-green prehnite to 1.6 cm across on weathered basalt. A few botryoids have a yellow-green tint, as a nice accent. A classic and showy US specimen from the famous Traprock quarries at Paterson. This specimen appears to be from an older find here. Ex Robert Whitmore Collection.